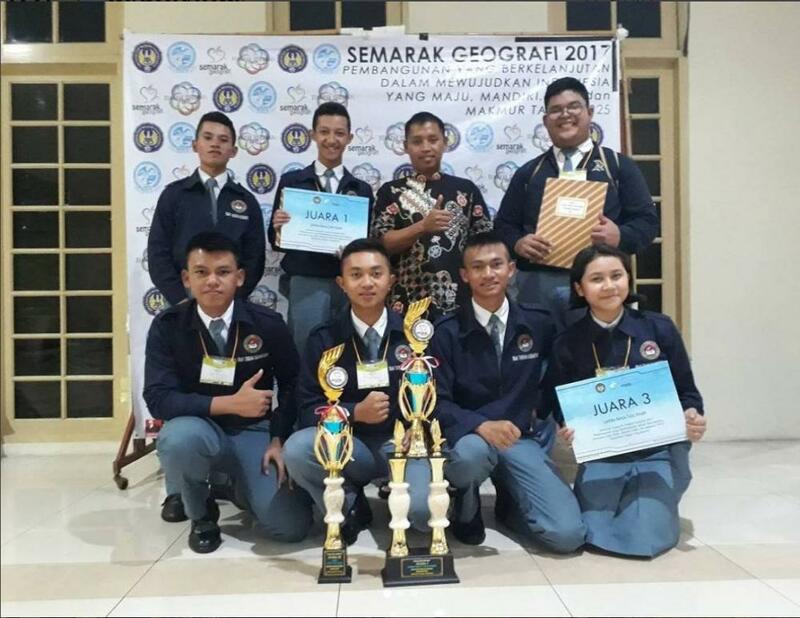 2 Tim berhasil meraih Juara 1 dan Juara 3 dalam Semarak Geografi 2017 tingkat Nasional di Universitas Negeri Yogyakarta. Mereka terdiri dari : Iknanda Januar Rizaldi, Zola Saputra, dan Jamal Habiburahman serta Bagas Patria Arikusuma, Adyan Pamungkas, Muhammad Rizki Arifudin dan Keshia Jenine Sahyasmita Setiabudi dibawah asuhan Bapak Rudi Adi Susanto. ARE YOU WILLING TO HIRE THE REAL HACKERS TO GET YOUR CYBER PROBLEMS FIXED WITH SWIFT RESPONSE? AND ARE YOU A VICTIM OF THE BINARY OPTION SCAM? Solving a problem for which you know there’s an answer is like climbing a mountain with a guide, along a trail someone else has laid. Here is a defined platform that maps a positive step closer to surviving heavy threat on the internet. You can put a stop to your anxiety and constant fear of you getting ripped off by forgeries. These post is actually for those who are willing to turn their lives around for the better, either financial-wise or relationship-wise or businesses. Our primary reason for this development is to ensure that those in need of help don’t get ripped off by fake hackers. This is a global idea that navigates a newbie Fall down the rabbit hole ( Fully immersed to a degree that the subject in question Is a disorienting worthwhile experience on merits). Who are the GlobalHackers? We are group of skilled professional hackers driven by passion to make the internet a safer place and render proficient services to those having cyber problems. Globalhackers has grown and expanded since it formation over the years due to the experience and professionalism of our management and technical staff. Our strength is based on our ability to bring together active cyber security professionals who individually has acquired enormous exposure in the world of HACKING As part of our corporate goals, providing value added services to meet our client needs and requirements has been our sustaining impetus. Our offer of proactive technical and managerial advice has always given us edge over and above our competitors. The new development on the Globalhackers platform is to assign to you the right HACKER to deal with your Particular kind of cyber issues depending on the kind of cyber problems you are willing to get fixed. Here, you would be refer to a legit professional hacker known for massive skills and security abilities. Skilled and trained on ●bank accounts loading ●social media hack, (Facebook, Instagram, snapchat etc) ●Credit card top up, ●Credit card dept clearing. ●database hack, ●money transfer, ●Verified Paypal Accounts hack, ●email hack, ●Grade Changes hack, ●Android & iPhone Hack ●BinaryOption funds recovery. The binary option scam is another problem facing the internet today. How do you avoid binary option scam and what do you do if you are a victim of the scam. Be wary of adverts on the internet and mostly on social media promising high returns from binary options trading. The binary option is one of the highly recorded scam on the internet.The Binary options are a form of fixed-odds betting. Particularly a trade involving if an event will occur or not and the result is either positive or negative. If the investor is right, then they stand a solid chance of winning and should see a return of the funds invested but if they are wrong, they lose thier full funds invested. The Globalhacker are breeding effort to put an end to these unbearable swindle scheme taking over the intenet and taking a solid step forward to render solution to those affected by the fleece… we have striven to make tenacious effort to relief those who were victims off their traumatic feeling of loss. ( We Are Here To Help Recover Your Stolen Funds). Here would be our cybersecurity techniques to retrieving back the victims funds ..The binary broker website would be traced down using a game over peer to peer network on a bug attack, decentralizing it and redirecting the server to a soft plus network., through that process reveals thier hidden networking source, displaying the changed web page made default. In that process unveil the hiding information traceable to track down the scammers and their embezzled central fund reserve system. You can stay away from false businesses online, to be highly oned firm by making enquiries for their firm reference number (FRN) and contact details and barter their calls on the switchboard number and also never make use of the link in a website or an email from the firm propitiating you for an investment. For more enquiries and help, contact [email protected] [email protected] HackerOne©️LLC 2019.